KUALA LUMPUR, July 6: DAP Johor has demanded an apology from Umno for the “uncivilised’ and “boisterous” behaviour which disrupted the party’s ongoing series of talks, “Forum Kedai Kopi”. In a statement today, DAP Johor chief Liew Chin Tong said text messages were found and disseminated amongst the local citizens a day prior to the event on Sunday. Azman Jaafar, who is believed to have started the fracas. Among others, DAP Parliamentary leader and Gelang Patah MP Lim Kit Siang was accused as a communist prosecutable by holy war. The text message also accused Lim of being the “Menteri Besar Killer” who intended to overturn the government in Johor as he managed to “end the political career of previous Johor Mentri Besar Abdul Ghani Othman”. Urges were then made to encourage locals to bring along a few “sidekicks” to prevent Lim from entering Permas. Lim had contested in Gelang Patah against Abdul Ghani in the previous general elections in May 2013 and won with a 14,000-vote majority. Liew believes that the text message is the tell-tale evidence that the disruption is not a result of Lim’s provocation, but through deliberate pre-medication. “The claims made in the text messages are unsubstantiated. Lim is not a communist and it was Ghani Othman who came into Gelang Patah to contest against Lim rather than Lim looking for a fight against an incumbent Menteri Besar. 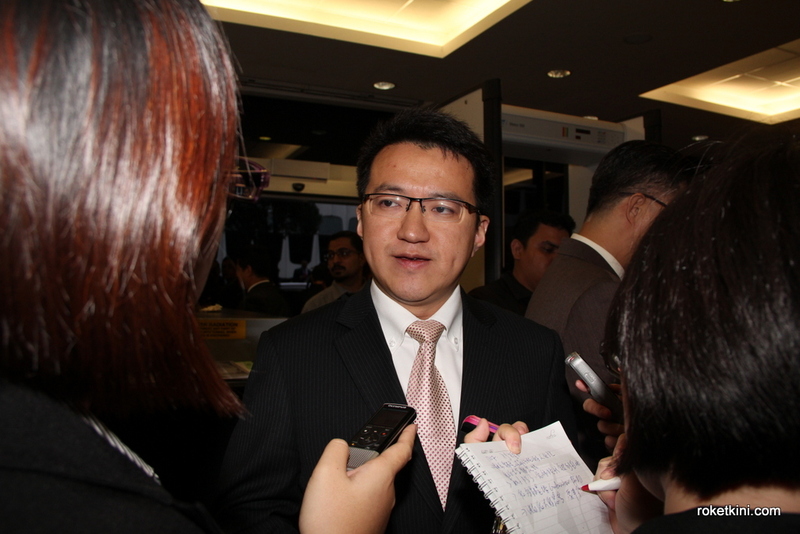 Even if it is so, what’s wrong with that in a democracy?” questioned Liew. Giving his eye-witness account of the incident, Liew said the event started with a few people wearing red T-shirts, believed to be led by UMNO Pasir Gudang Youth Chief Azman Jaafar, gathering around the venue where “Forum Kedai Kopi” was due to commence. When Liew was delivering his speech, Azman was seen to be running amok. Negative slurs such as “Kit Siang Balik Pulau Pinang (Go back to Penang Lim)”, “Kit Siang Babi (Lim, you pig), and “Kit Siang Komunis (Lim, you communist)” were projected towards Lim even though Lim did not participate in the speech at all. Yesterday, Umno Secretary-General Tengku Adnan Mansor and Johor Menteri Besar Khaled Nordin, also UMNO Pasir Gudang Division Head, apparently blamed Lim for such violent outbreak, stating that Lim is the culprit as Lim provoked the audience. 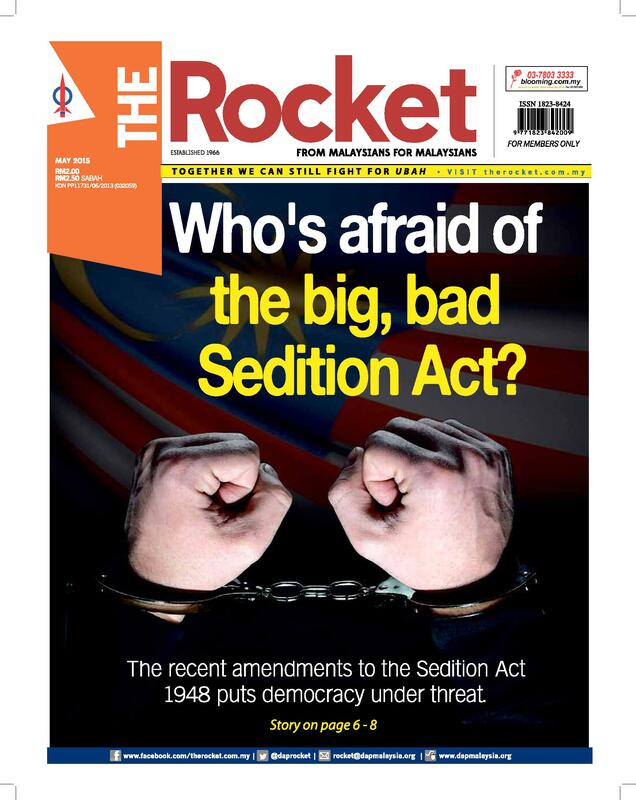 “So don’t do provocation…I heard that Kit Siang said something, not there but elsewhere and humans, when you provoke them, they will react,” Adnan was quoted as saying. Liew said the allegations are unfounded. “Adnan ought to be ashamed of himself by giving irrational and unfounded excuse regarding such intentional disruption and own up his mistake,” added Liew. Police reports have been lodged by DAP over the incident. This article was written by admin on Tuesday, July 7, 2015 at 11:05 am. You can follow any responses to this entry through the RSS feed. You can leave a response, or trackback from your own site.